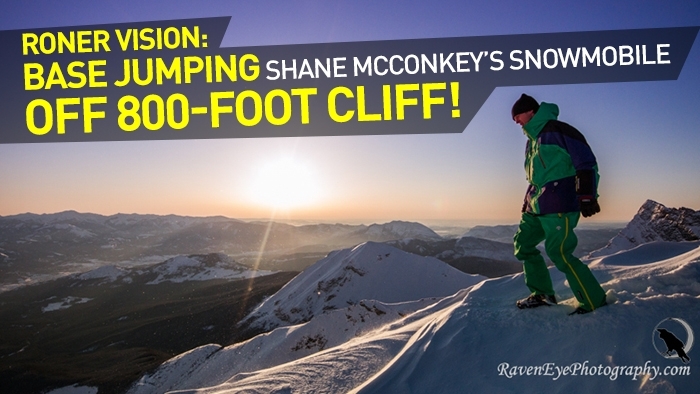 Professional skier Shane McConkey pushed the limits of possibility in big mountain terrain. As a friend and mentor to Erik Roner, his 2009 passing was a huge loss. Erik decided it was time to honor his friend by disposing of Shane's snowmobile in the only way that made sense—by BASE jumping it off an 800-foot cliff! With former pro snowboarder Jim Rippey in tow to help with the stunt logistics, Erik hits the road to Fernie, British Columbia and a massive cliff face. Watch as Roner pulls the throttle and pushes his own limits for Shane! Watch the new episode from Network A HERE.